Home mediaMacleans: What happens when Nunavut’s rapidly growing capital city runs out of water? After an Arctic freshwater researcher sounded the alarm about Iqaluit’s near-future water crisis, the city took steps to save water. But is it enough? Steel pipes have been driven and the foundation poured for the biggest capital project Iqaluit has ever seen, yet uncertainty hangs in the air about whether construction of the $50-million hotel and conference centre will be halted due to a water shortage. Arctic freshwater researcher Andrew Medeiros, an assistant professor at Dalhousie University, identified Iqaluit’s water security issues and the need for a water management strategy in 2015. The following year, Arctic Science published his finding that Iqaluit would be at risk of running out of water each winter as early as 2018 due to climate change and increased demand. He says representatives from all three levels of government, including Iqaluit city water managers, attended workshops on the findings in July 2016. 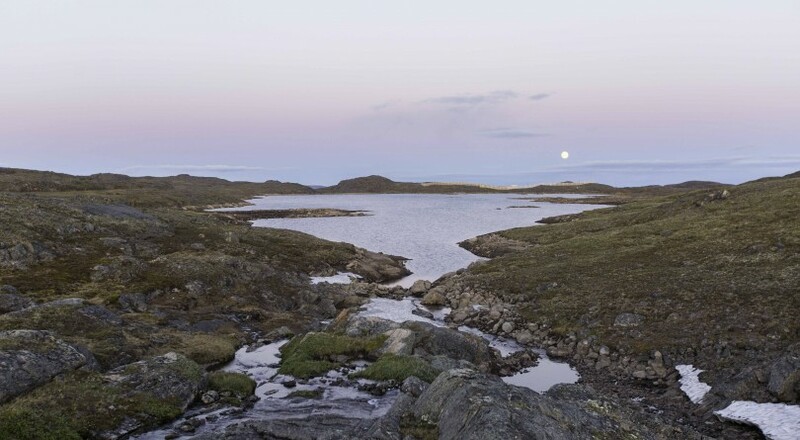 His latest study on the subject, published last year in Environmental Science and Pollution Research, found that climate change, an increasing population and growing demand for water will begin irreversibly depleting Iqaluit’s main water source, Lake Geraldine, starting in 2024. The long-range plan for Iqaluit’s water shortage is less concrete. The city is currently studying the feasibility of tapping into the nearby Sylvia Grinnell River as a long-term supplement for the reservoir, says Stevenson. Climate change is affecting freshwater supply across the Arctic, which is seeing less rain and more evaporation due to warming temperatures. Unlike southern communities, where groundwater can replenish water sources, water supply in the Arctic is comparable to a bowl of water: it remains static until topped up by rain or snow. Iqaluit’s supply runs lowest in winter, when the lake is iced over and there is a fixed volume of water underneath. What’s more, Iqaluit is a growing community: its population—now 8,000—increased by 10 per cent between 2011 and 2016, and by 40 per cent since the territory was formed in 1999. Census data from 2016 showed Nunavut had a higher birth rate than any other province or territory. No one’s sure what will happen if the city runs out of water—it has no emergency plan in place for that eventuality. Other, smaller Arctic communities that have run out of water have shipped in bottled water at great expense, but that seems a desperate measure for a city of 8,000. Council had considered bylaw changes that would have allowed it to enter into service agreements with private companies to provide water services to commercial clients on a pay-by-volume basis. But the proposal failed amid concerns it would lead to privatization of the water supply. Recently, a newly built brewery in town had to delay its launch due to the shortage.